I’ve been doing some travel for work and I’ve been reminded of all of my traveling quirks. Upon check-in I like to empty my bags, line up my outfits (ironing as necessary), and arrange my toiletries in the bathroom. It’s a bit OCD and a little bit of not wanting to have to find things when I get ready in the morning. 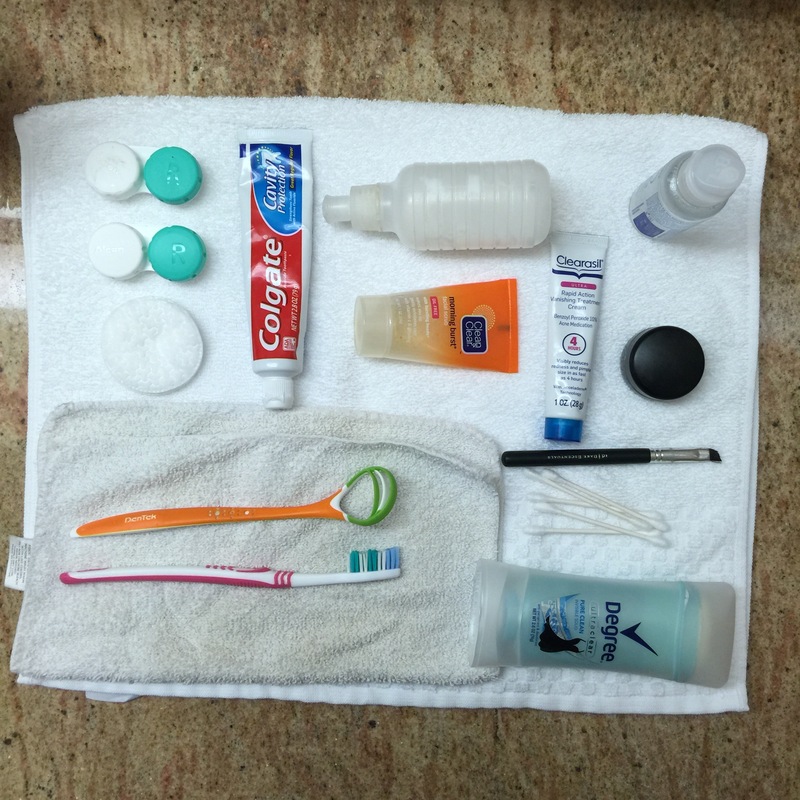 I take full advantage of amenities – shampoo, conditioner, face/hand soap, and towels. And if there is a robe, I will wear it! Even if it’s not the softest, it’s still glamorous. 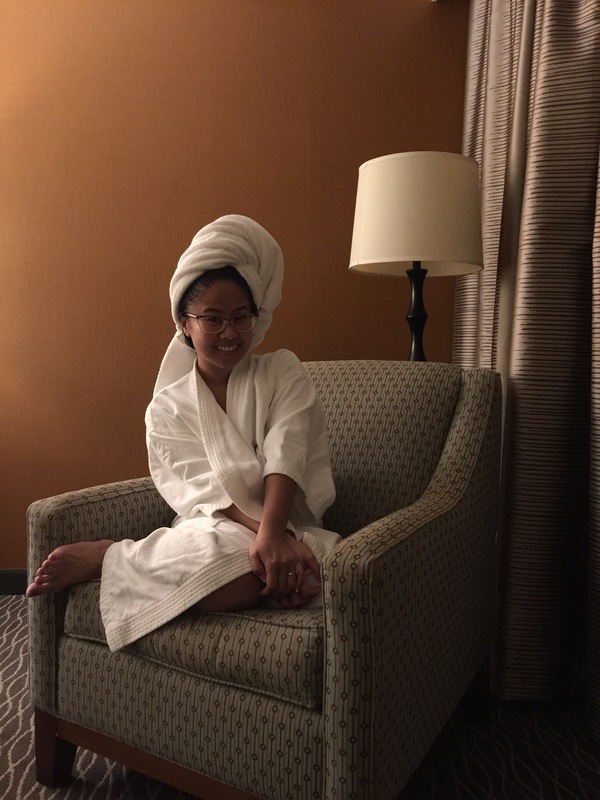 Throughout my stay, I also like to make sure I sit in every chair in the room. Just call me Goldilocks. On this trip I stayed at the Double Tree in Orange; a big part of the decision to stay here was because they give you one of their famous chocolate chip cookies upon check-in. The hotel is about three and half miles from Disneyland, too, so when I found out my room faced the happiest place on earth you bet I was parked on this chair looking out the window at 9:30p for the fireworks show! Do you travel for work? What are your travel pro-tips? Leave a few down below. Previous Postshop feature: oh hello friend.